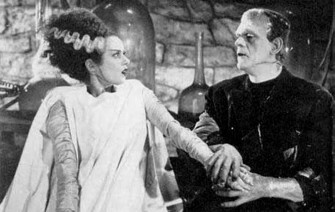 Companies that engage in one or more acquisitions face the possibility of becoming unified financially, but what I call a “Frankenstein” team. Integrating culture is every bit important as integration IT systems! Create a beautiful quilt, not a Frankenstein! Create a shared purpose beyond cost-savings and profit. Build on shared values and a compelling vision of the future that turn a group into a team. Clarify exactly what the business does that customers need, want, and for which they are willing to pay. Identify a value proposition that clearly states the benefits the team provides, and why people would want to pay you instead of a competitor. Focus on the top priorities that will drive decisions and resource allocation. Agree on roles and responsibilities with built-in accountability. Creativity and innovation that’s as common place as breathing. Support for prototyping, risk-taking, and a tolerance for unavoidable failure from which we learn and grow. Communication structures that assure top-to-bottom alignment around the purpose, goals, success criteria, and priorities. An “attitude of gratitude” that permeates the organization, and fosters employee engagement vs. “just enough” effort to get by. It is delightful to have you work with us. You are already having a positive impact on the whole project situation. If you have the opportunity to take a workshop with Wiefling in person, don’t walk, RUN to sign up at your earliest opportunity. Her classes are Fun, Entertaining, high energy, and you learn some of the most incredible things. Don’t miss it. The only downside to her class is that everything else you take thereafter will pale in comparison. One of the finest class experiences I’ve ever had.